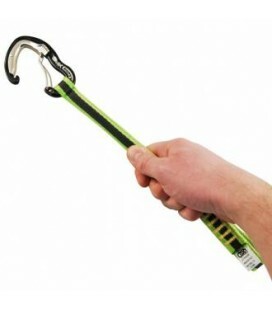 Quickdraw for sport climbing. Easy to clip and lightweight. 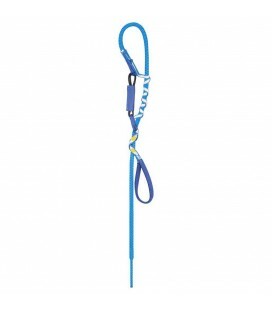 QUICKDRAW ORBIT WIRE - CAMP 18cm Light, resistant and versatile quickdraw made with dynema. 18cm. QUICKDRAW ORBIT COLORATO - CAMP Versatile and lightweight quickdraw with diferent sizes (11 and 18cm). 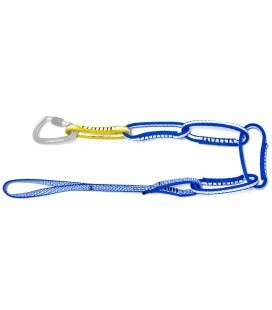 Durable quickdraw for crag climbing -17cm. 5 quickdraws set. The Slash quickdraw set is optimised for pro sport climbers and novices alike thanks to its robust keylock carabiner and 10 mm polyester sling. Very comfortable quickdraws ideal for projecting. Available in three lengths: 12, 18 and 25 cms. Ergonomic, durable and lightweight quickdraws. Lenght: 12 cms. With six versatile PosiWire draws in one convenient pack. The Positron Quickpack features six versatile Positron quickdraws for multi-discipline functionality. The EXPRESS quickdraw sling is perfect for working a route. The ergonomic shape makes it easier to grab. 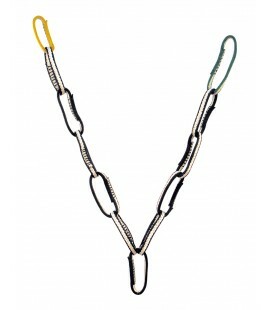 The STRING helps maintain the proper orientation of the carabiner and protect the carabiner attachment loop from wear. An Anchor Chain is an easy, versatile way to equalize anchors. 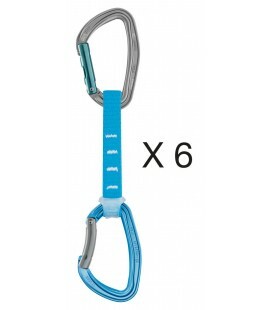 It has different lengths of end loops to accommodate a wide variety of anchor configurations. 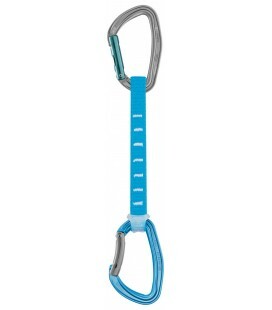 Quickdraw model with locking carabiners with Slider automatic locking system, which allows easy clipping. 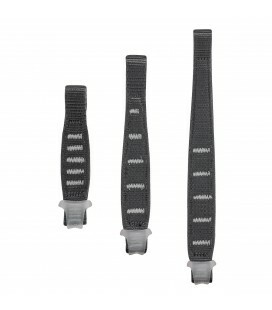 Perfect to secure sections with large traverses or strange bolt positions. 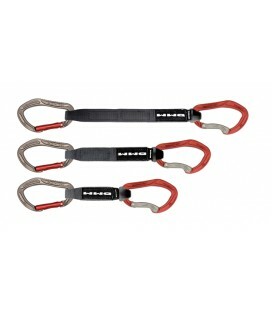 Ideal for sport climbing, traditional climbing and mountaineering. 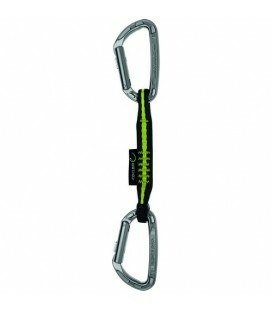 In addition the Slider system allows a considerable weight saving in relation to other safety carabiners.